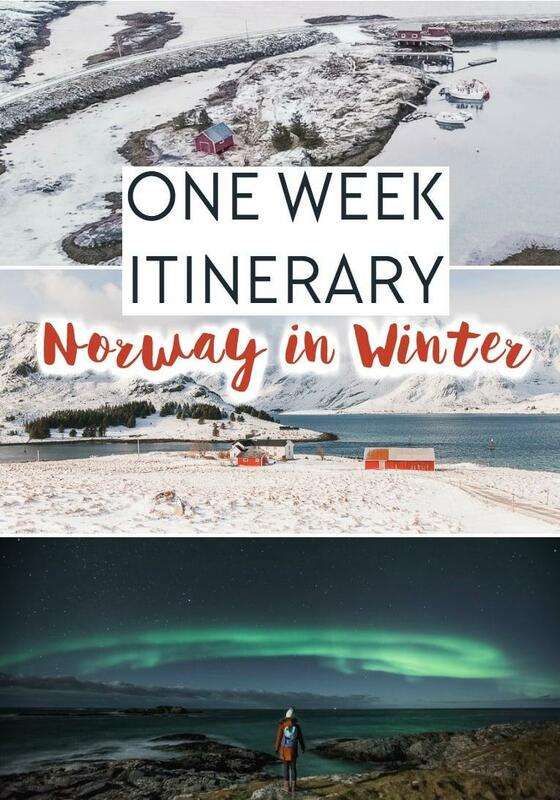 / Norway / A One Week Northern Norway Winter Itinerary – Crafted by the Experts! No, as much super local inside scoop as my whopping two months living in Northern Norway have given me, I am not referring to myself as an expert here. If you’ve been following my most recent journey through Northern Norway, you probably noticed the little disclaimer at the top of my last several blog posts: this trip was sponsored by Visit Northern Norway. And you’re still reading here, so I guess that means you don’t share in the outrage so many people have expressed lately towards bloggers working with brands on paid campaigns. This is probably my cue to give a spiel about how much work we put into our channels at no cost to our readers etc. etc., but the truth is, I get it. I follow a beauty blogger on Instagram who has the best skin, and last night I spent a good half hour combing through her archives trying to find a blog post with her favorite skin products that wasn’t sponsored. I wanted to know what she actually uses and loves, not what someone paid her to use and love. Maybe it’s different with travel blogs, as working with destinations involves a little more commitment than slathering a new cream on my face, but I can still imagine some people missing the days when travel bloggers visited places they had saved their pennies to see, not wherever they managed to score a sponsored hotel stay. 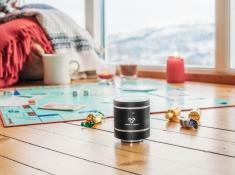 And that’s why I was so excited to work with Northern Norway on this campaign. This is a region I already know and love (and now call home), so I was curious to see where Northern Norway would want me to write about. And in fact all of the places I visited are places I’ve previously or since visited independently, so it was fun to see how the “experts” suggested I spend my time there. I did this trip during the winter so I’m writing it as a winter itinerary, but this itinerary would be equally wonderful during other times of the year. 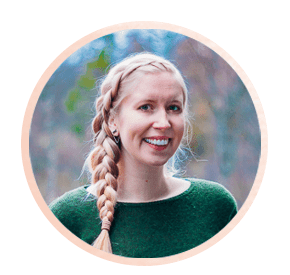 In the spring and summer instead of the Northern Lights you would have a lot more daylight (and the midnight sun in the summer), you’d be able to go on more hikes, and it would be warmer for outdoor activities. And in the autumn you’d have Northern Lights but still more daylight and less snow. I flew into Bodø from Tromsø the night before, but you could also arrive in the morning or early afternoon of your official first day. And the great thing about using Bodø as a starting point for your Norway trip is that both the airport and train station are right in the city center. So you could either fly in and walk straight into town or, my personal preference, get the train up to Bodø. The train journey from Oslo is super long – as in about 17 hours with an hour stop in Trondheim – but it’s also a beautiful way to get to see Norway’s countryside. The last four hours before arriving in Bodø are the most beautiful, so try to be awake for that portion of the journey, when you’re going over the mountain. It’s even more beautiful than the drive, so this is definitely something to stare out the window for. Like seriously, the famous train journey from Oslo to Bergen has nothing on this train ride when it comes to stunning scenery. Trondheim has more international flights than Bodø, so you could also look at flying into Trondheim and getting the train up from there, as it’s the prettiest part of the journey anyway. Do try to make some time to explore Bodø before getting the express boat in the evening. The boat terminal has lockers if you need to store your luggage. You can read more about things to in Bodø here, as well as in this post about my visit to Bodø last summer. Bodø only has 50,000 people, which for some countries would make it a really small city, but actually it’s the second biggest cities in Northern Norway (Tromsø is the largest city in Northern Norway with just under 80,000 people lol). Plus it’s a student city, which means there’s always a lot going on. 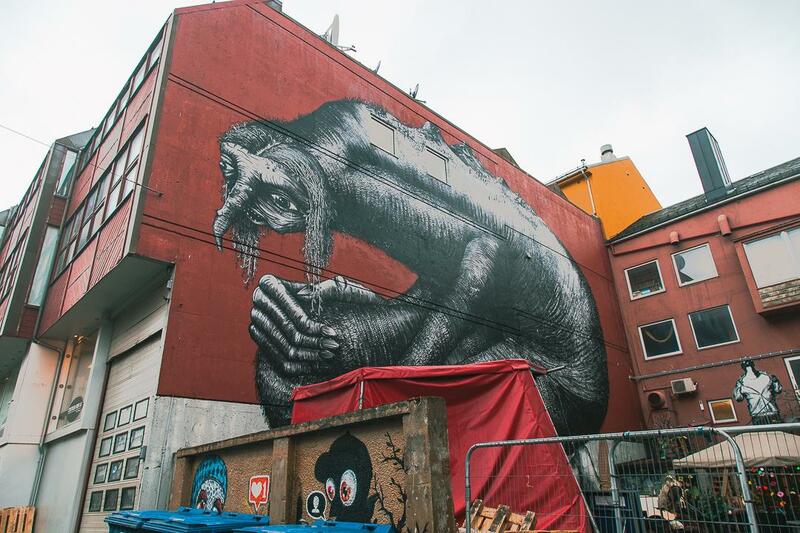 Bodø has also grown a lot in recent years and now is one of the “it” places for young people to move, with lots of start ups and quirky restaurants and cafés, street art, concerts, and events. Plus the surrounding nature is seriously stunning – you will be amazed. And then in the evening you’ll get the express boat to Støtt. The boat terminal is downtown, next to the Scandic Havet. When I did the journey my boat left at 16:15, but you can find the updated boat schedule for Bodø (Sentrumsterminalen båt) to Støtthurtigbåtkai (Meløy) here. You can reserve your ticket from Bodø online if you want, and then when you arrive at the boat terminal go to the desk and they’ll scan your ticket and give you a boarding pass (or you can simply buy your ticket there). On the way back to Bodø you buy your ticket on board. There’s only one place to stay at Støtt: Støtt Brygge. 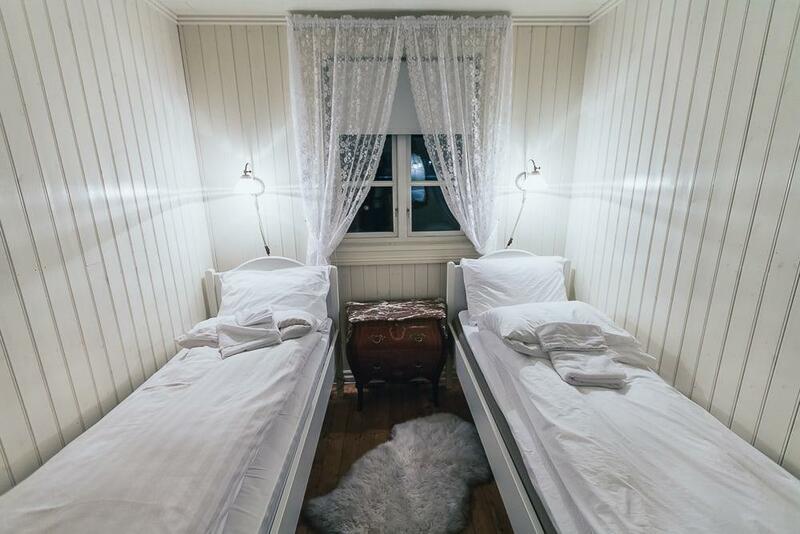 You can stay in one of their authentic rorbuer (fisherman cabins), or in a room or small apartment in the old bakery building. You can check all the accommodation options and prices here. And I’m not even exagerrating when I say that Støtt Brygge is one of the loveliest places I’ve stayed in all of Norway. 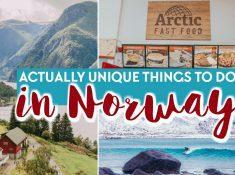 The history is amazing, and you’ll learn so much about Norwegian culture and history while staying here. And the views are amazing. To be honest, I would have loved to have had an extra day on Støtt. 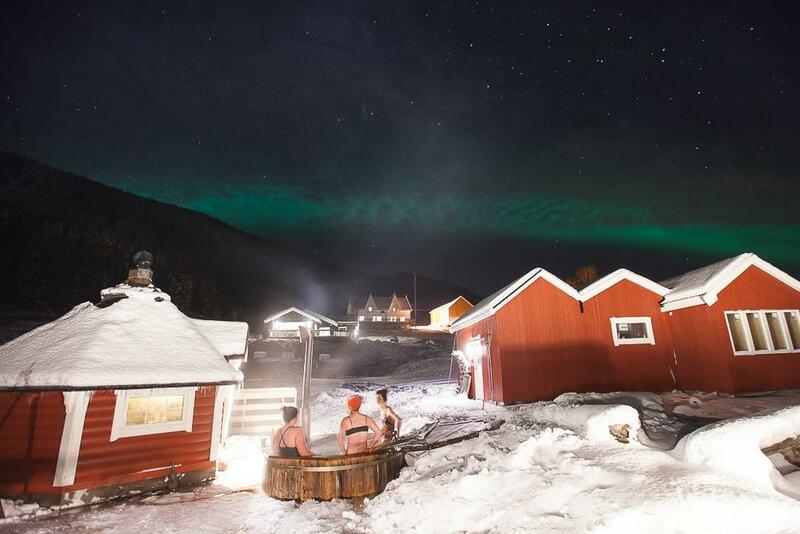 So if you have time to add another night to your Norway itinerary, consider doing so here. Støtt itself is a small, quiet island, but there’s loads to do in the area. You can talk to Støtt Brygge about the activities you’d like to do when booking your accommodation. I know they offer arctic kayaking and watching for the Northern Lights in a lavvu tent, but they’ll also arrange other activities for you. I went on a hike with Meløy Adventure, one of Støtt Brygge’s partners, and that allowed me to see a bit more of the Helgeland coast. You can read more about things to do in Støtt and the Meløy region here. After breakfast and checking out from Støtt Brygge, get the 10 am boat to Bodø, which arrives in town at 11:30. Then you can store your luggage in the lockers at the boat terminal if you like and spend a few hours in town, or you can just head straight to the airport. It’s about a ten minute walk uphill (I did it with a big suitcase with no problems). And then you can catch the 5:20 pm flight from Bodø to Svolvær. Once in Svolvær pick up a rental car at the airport. I rented mine through Avis, but you can compare prices on RentalCars.com. Just try to book as far in advance as possible, as rates usually do go up. And then drive about ten minutes down the road to Svinøya Rorbuer. You are going to love it here. I stayed in a fisherman cabin right on the water and woke up to the most amazing mountain views. 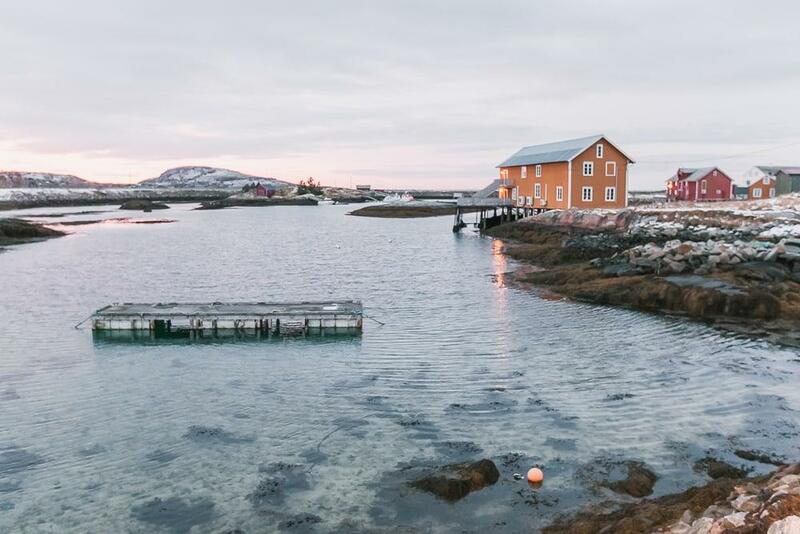 The cabins have kitchens so you can either pick something up at a supermarket for dinner, or see if you can have dinner at their restaurant, Børsen Spiseri. And then at 8:30 pm meet up with Lofoten Aktiv for some serious aurora chasing! You can book your tour here. 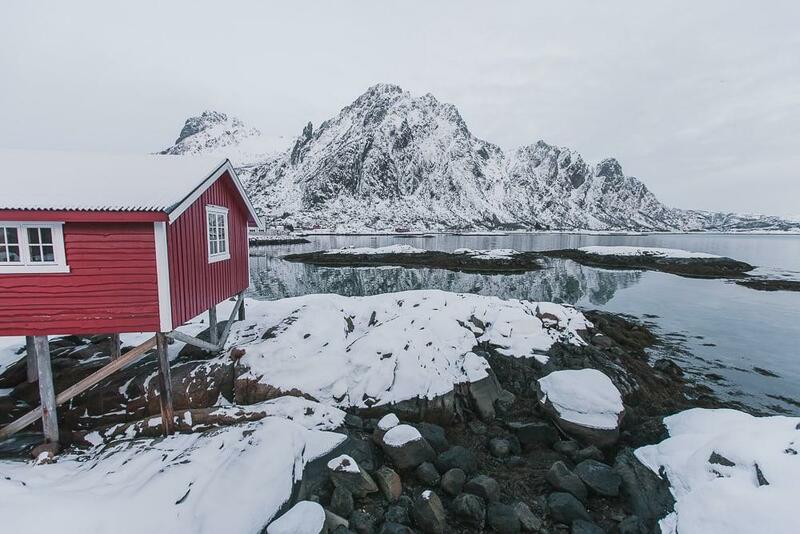 Tonight you’ll stay at Svinøya Rorbuer – you can check rates and availability here. Today is going to be packed, but so much fun. 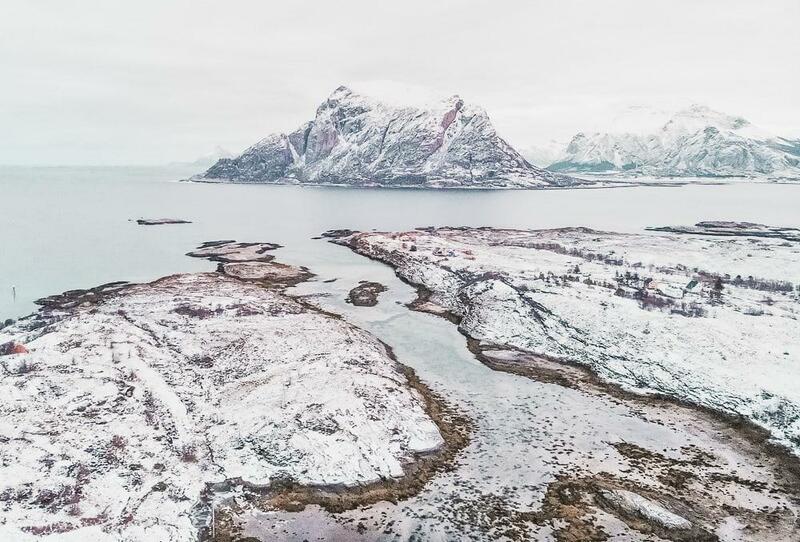 You’ll start off the day with a sea eagle safari into Trollfjorden for some amazing views of Lofoten’s landscape, as well as a chance to watch eagles. To be honest I was most excited just to get to take a boat into Trollfjord, but actually seeing the sea eagles turned out to be a highlight of the entire week for me. You can book the trip here. The safari lasts about two hours. You can read more about my experience chasing the Northern Lights with Lofoten Aktiv and on the RIB safari here. 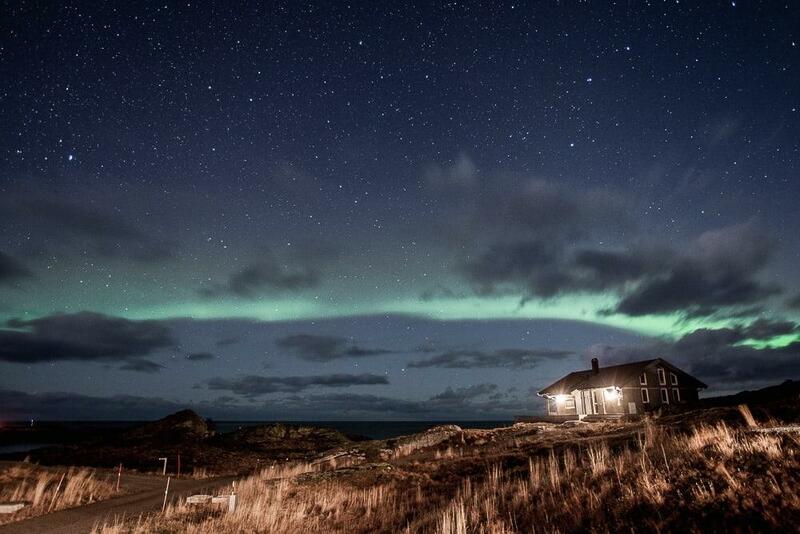 Then you’ll drive to Hov on Gimsøy, which is known as one of the best places in Lofoten to see the Northern Lights. It’s about a 45 minute drive from Svolvær to Hov. You can have dinner here (either buy food at a supermarket in Svolvær to cook in your cabin or eat at their restaurant), and then go horseback riding under the Northern Lights! You can read more about my experience with the horses here. You’ll spend the night at Lofoten Links Lodges, which are beautiful cabins right by the horse farm. Each cabin has big windows facing north so you’ll be in the perfect position to watch for the Northern Lights. 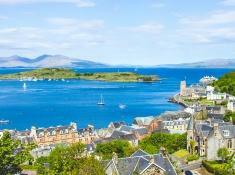 You can book your accommodation here. You have a bit of a drive today, but it’s a beautiful one. 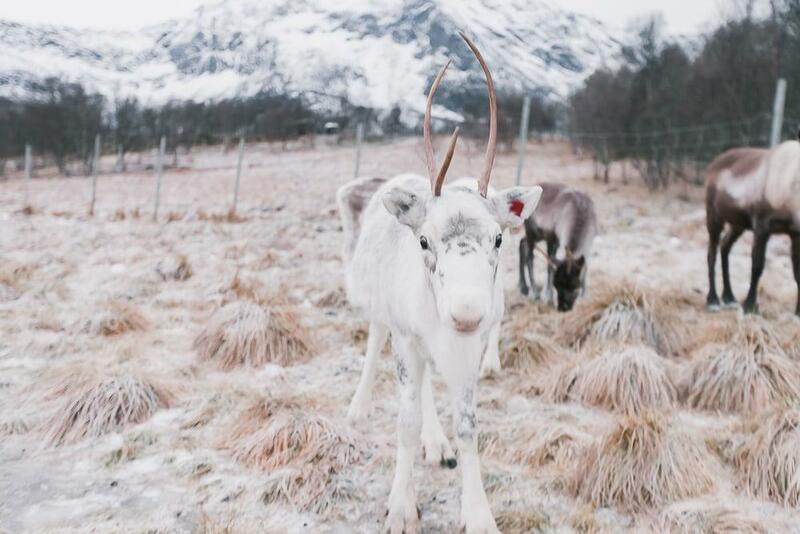 First you’ll drive about two and a half hours up to Sortland to see the reindeer at Inga Sami Siida. You need to book this in advance here. 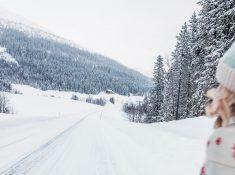 Try to get there early so that you still have some daylight afterwards, as the drive up to Andenes is really beautiful. Take the scenic route via Bleik. You can read more about my time on Vesterålen here. Vesterålen is really special because it’s still fairly undiscovered, at least compared to the nearby Lofoten Islands. You can drive for an hour here without seeing any other cars, and the views really are stunning. 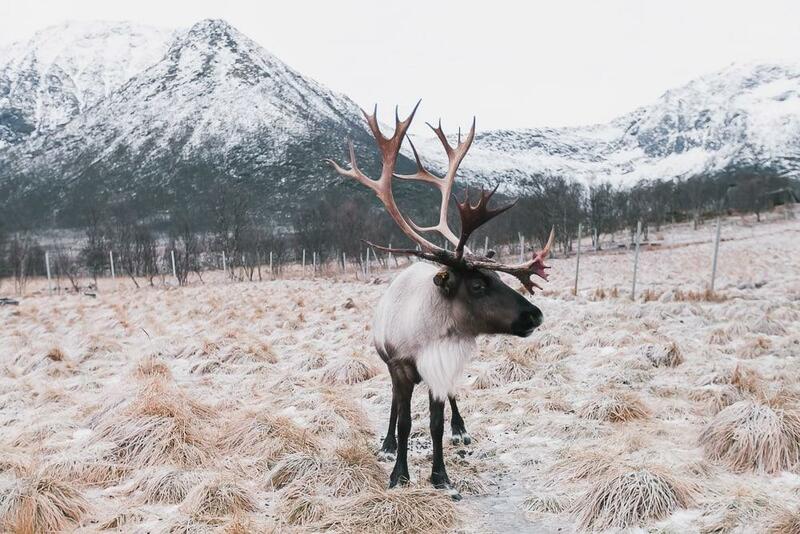 Plus this is one of the best places in Norway to see the Northern Lights, and one of the only places in the area where you can hang out with reindeer. 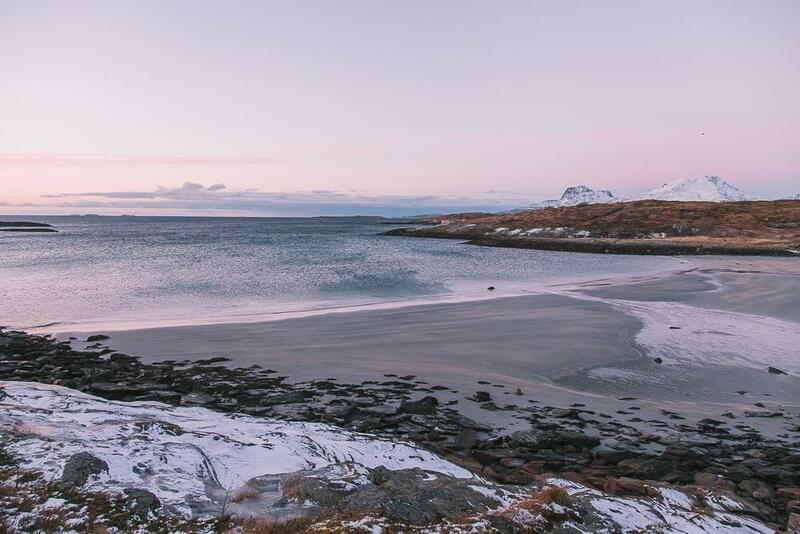 In Andenes I recommend staying at the Thon Hotel Andrikken, which you can book here. After breakfast drive down the road to Sea Safari Andenes, where you’ll start your whale watching tour! These do book up well in advance, so try to book your tour as soon as possible here. 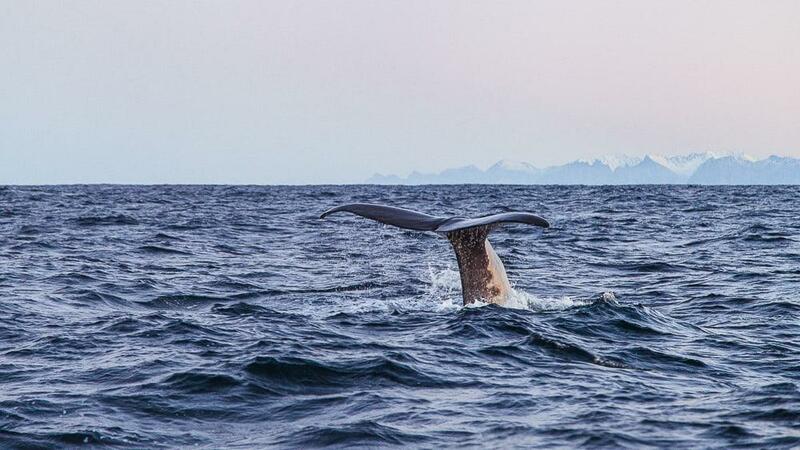 And then after your whale safari it’s time to drive back down to Svolvær, return your rental car, and fly back to Bodø. My flight was at 22:45, so I got dinner in Svolvær and then drove out along the coast to see my last glimpse of the Northern Lights for the trip. The Thon Hotel Nordlys is one of my favorite hotels in Norway, partly because of the views of Bodø’s harbor, but mostly because of their epic breakfast buffet. You can check rates and availability here. 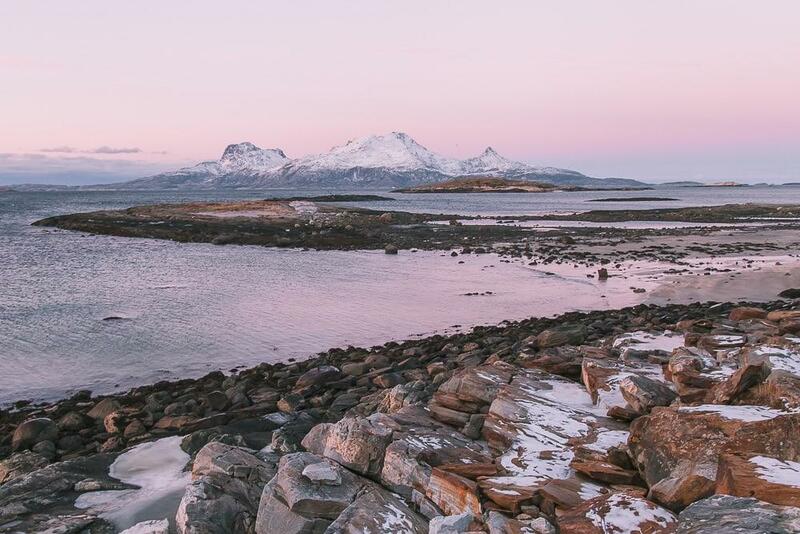 If you can get an evening flight or train out of Bodø then you’ll have the day to explore more of Bodø! On my last day I enjoyed the best breakfast of the trip at Thon Hotel Nordlys and then headed into town. In the afternoon I went for an arctic coastal walk with Stella Polaris, after which I warmed up with lunch at Berbusmel. And then in the evening I caught the 5:30 pm train home to Mosjøen. So I actually combined this trip with a trip farther north to meet up with my friends Catriona and Viv. We flew into Tromsø and then rented a car so we could spend two nights on Senja and two nights on Dyrøy. You can see our Senja itinerary here and our Dyrøy itinerary here. 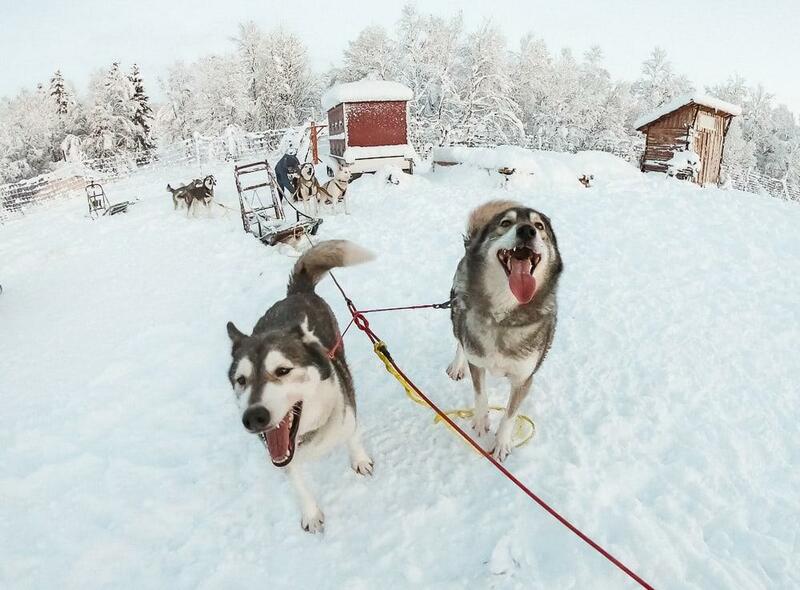 Adding this onto your trip would increase your chances of seeing the Northern Lights, as more time in Norway means more chances of clear skies, plus you’d get to check off another Norway bucket list experience: husky sledding! And then depending on how you’re booking your flights, you could fly home directly from Tromsø. I visited Europe back in 2017 and have made it my mission (more like my promise) to visit Europe once a year moving forward. I recently took my dad in 2018 for his first trip across the Atlantic and now I am planning a trip with my mom (slightly jealous from last year’s father and son trip) for her very own first trip across the Atlantic, in which she wants to see Norway and the Scandinavian lands. I have had trouble trying to fit everything I want to see (Oslo, Bergen, Lofoten/Leknes, and Tromso) into the time frame we are working with. Now my mom isn’t the most athletic but she would die to get some high vantage viewpoints (easy hikes) as well as see all sorts of areas in Norway. Do you have any suggestions as to what to see with her? Can we indeed do Oslo, Bergen, Leknes, and Tromso in 10 days? Do you think that is way to much? etc…. The planned travel dates are June 20th, 2019 – June 30th, 2019. Hi Silvia, I’m interested in this partnership thing, could you maybe write a post how it works? Like, they contact u, u say yes and then what? They pay for your trip, everything? Do they let u choose where u wanna be or where you wanna stay? Do they plan EVERYTHING for you? Don’t get me wrong, it’s really interesting, it’s a shame that not much of bloggers/youtubers talk about it. I follow lots of ytb makeup influencers, but it’s always “i have sponsorship with this and that”, but never about how it really works. I recently bought tickets to Norway, I’m gonna spend three weeks in the north, so I really love posts like this, they always get me more and more ideas! Silv, did u ever spent some time on a trip, sleeping in tent? Or did u always stayed in hotels? That’s exactly what I thought! It’s always the best when the aurora hunting activities are fun in themselves, regardless of whether you see the lights or not.